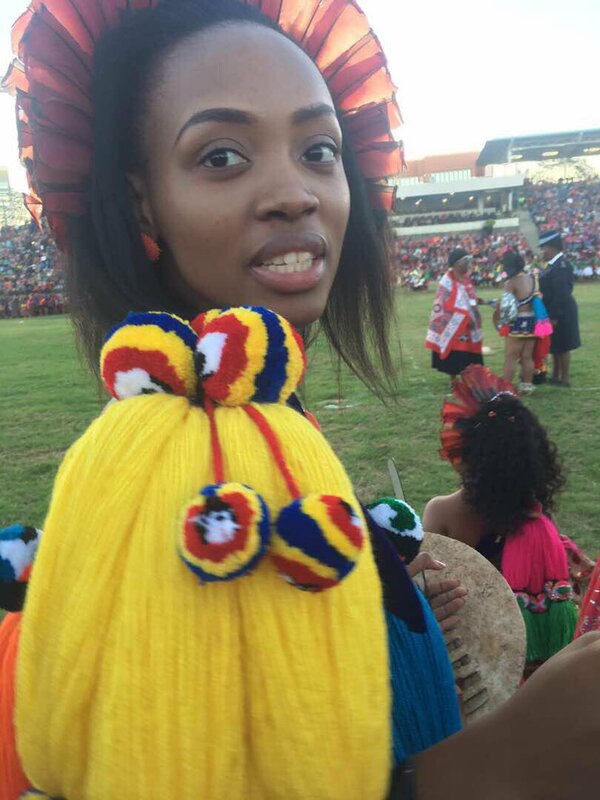 Swaziland’s King Mswati the Third has married 19-year-old Siphelele Mashwama, daughter of cabinet minister, Jabulile Mashwama, as his 14th wife. According to reports, this is coming after weeks of speculation. 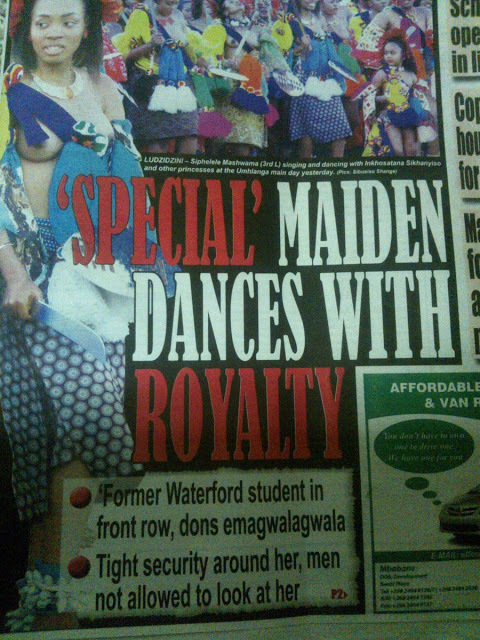 The news was reportedly confirmed by royal festivities overseer Hlangabeza Mdluli. Siphelele visited New York with the 49-year old king where he attended the United Nations General Assembly. 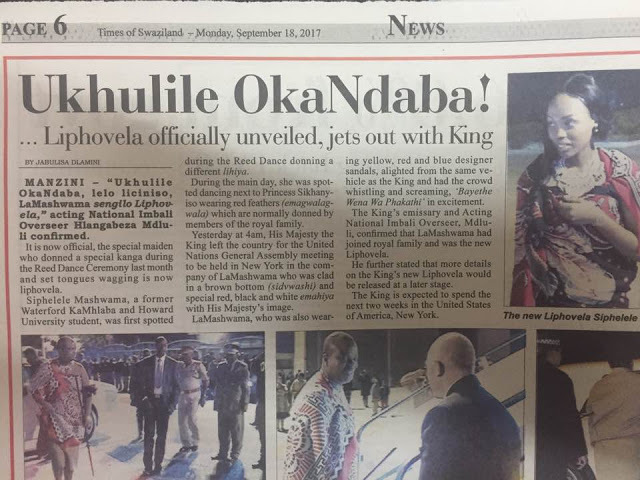 His other wives include: Inkhosikati LaMatsebula, Inkhosikati LaMotsa, Inkhosikati LaMbikiza, Inkhosikati LaNgangaza, Inkosikati LaMagwaza (deserted), Inkhosikati LaHoala (deserted), Inkhosikati LaMasango, Inkhosikati LaGija (deserted). Others are Inkhosikati Magongo, Inkhosikati LaMahlangu, Inkhosikati LaNtentesa, Inkhosikati LaNkambule, Inkhosikati Ladube and Inkhosikati LaFogiyane. 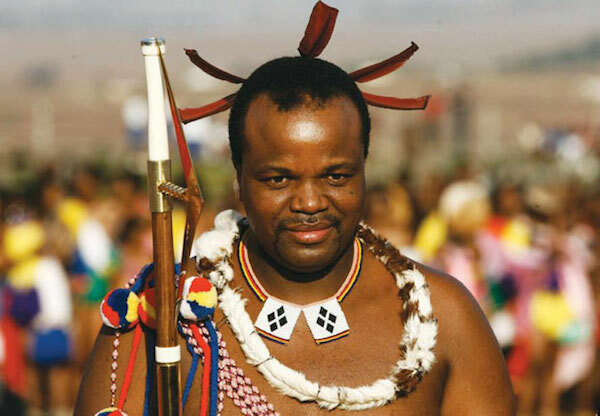 King Mswati III is Africa’s last absolute monarch and has served for more than 31 years. He acceded to the throne of the tiny southern kingdom in April 1986. King Mswati, also known as Ngwenyama, “the lion,” is said to have over 13 children, which include his eldest daughter HRH Princess Sikhanyiso, Sibahle Dlamini, Makhosothando Dlamini, Majaha Dlamini, and Tiyandza Dlamini. 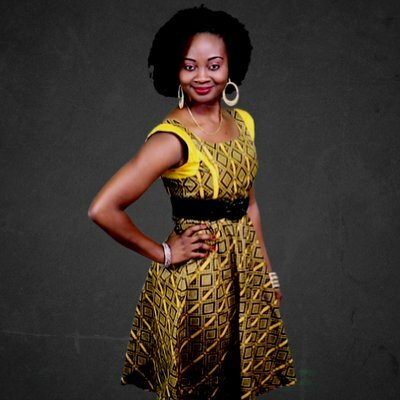 Others are Sakhizwe Dlamini, Saziwangaye Dlamini, Bandzile Dlamini, Lindaninkosi Dlamini, Mcwasho Dlamini, Temtsimba Dlamini and Temaswati Dlamini, among others. 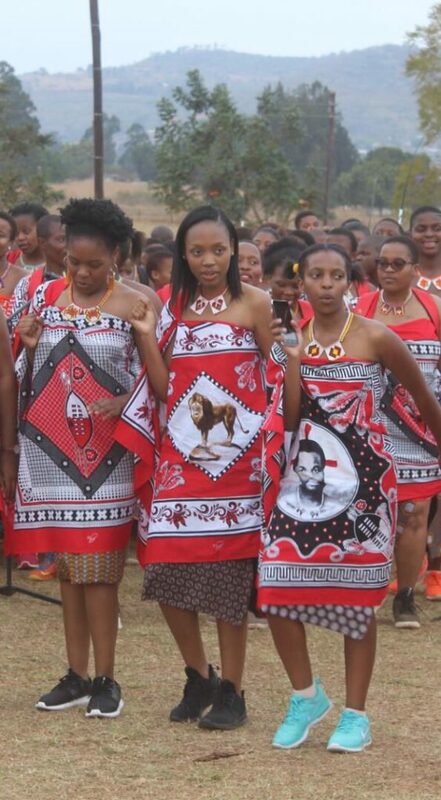 It’s a common tradition for the Swaziland King to choose a wife every year. Last year, the Sherburne-educated King chose a new bride during the well-known Reed Dance ceremony. During the ceremony, the girls and young women sing and dance, often bare-breasted, as they bring reeds to reinforce the windbreak around the royal residence. Haha…….only him. Part of the culture I detest.